The undersigned Customer ("Customer") hereby makes application for the extension of commercial credit to finance the purchase of certain motor vehicles from Jim Reed Truck Sales. 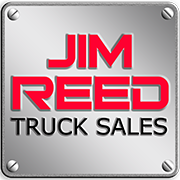 ("Jim Reed Trucks Sales"). Customer authorizes Jim Reed Truck Sales to forward this application, together with any supplemental materials submitted by Customer, to others for consideration of credit extension. Jim Reed Truck Sales may receive from and disclose to others, including credit reporting agencies, information about the applicant's accounts and credit experience. Applicant authorizes such others to release to Jim Reed Truck Sales credit experience and account information regarding applicant. This shall be a continuing authorization for all present and future disclosures of account information and credit experience on applicant made by Jim Reed Truck Sales or any person requested to release such information to Jim Reed Truck Sales. Customer represents and warrants that the information disclosed herein, along with any and all supplemental information, including financial statements, tax returns, and balance sheets, are accurate and complete. Customer will provide immediate notice in writing to Jim Reed Truck Sales if and when any material changes occur in this information.